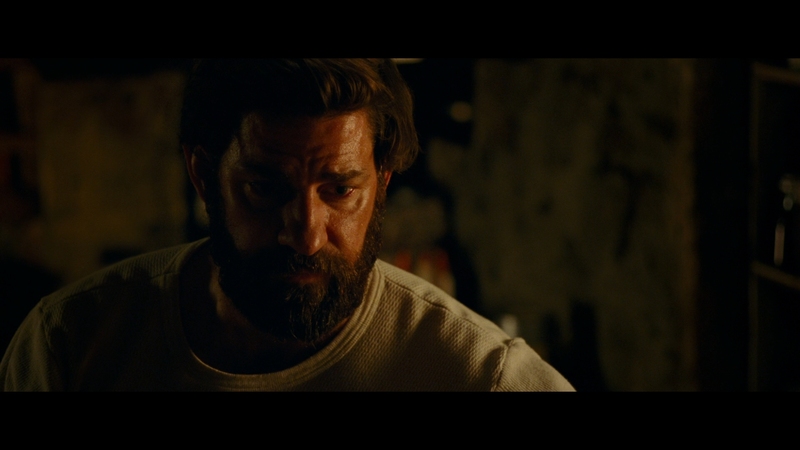 Without the typical genre conventions, A Quiet Place rewrites the rules of cinema horror. 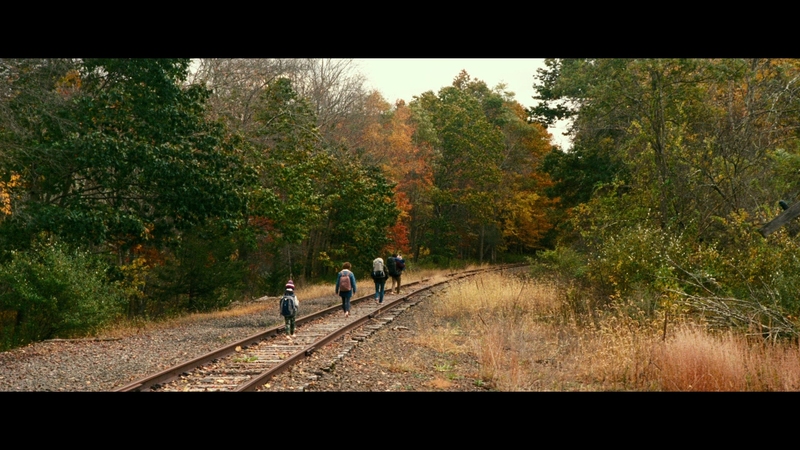 No drunken teens, no classless characters; rather, A Quiet Place focuses on the family unit and how togetherness can save us all. Few words escape the lips of these characters. They exist in silence. Tension is unbearable, a perfect transfer of film fiction to a real world audience. The opening five minutes set up the world. The rest deals with how to live there. It’s not easy, but also a smart, creative use of the horror format. 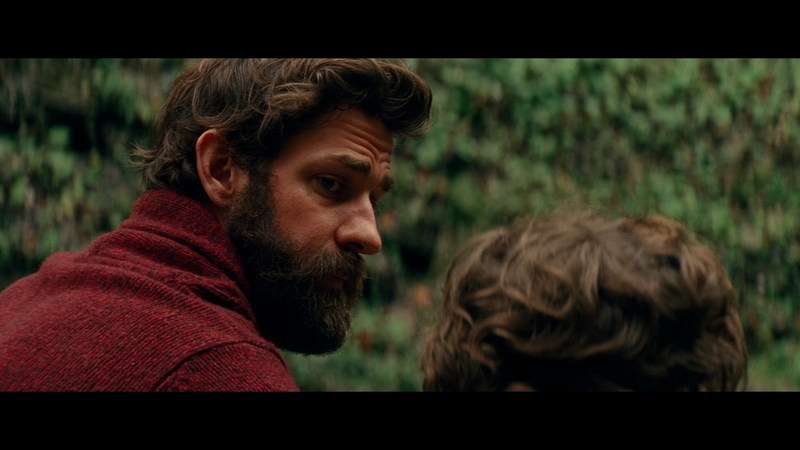 Read our full review of A Quiet Place for more. In the opening frames, black levels and contrast reach a stellar balance. 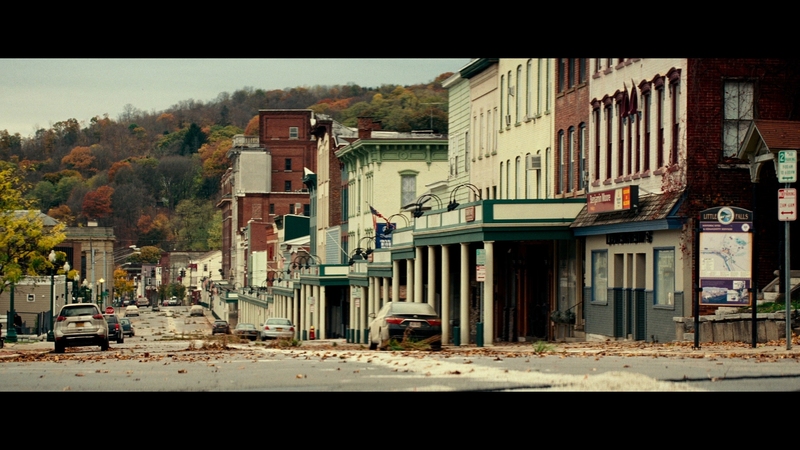 That doesn’t change for the rest of A Quiet Place either. The two pair beautifully, one with rich, pure black shadows, the other with strong highlights helped with the Dolby Vision pass. Brighter discs exist. 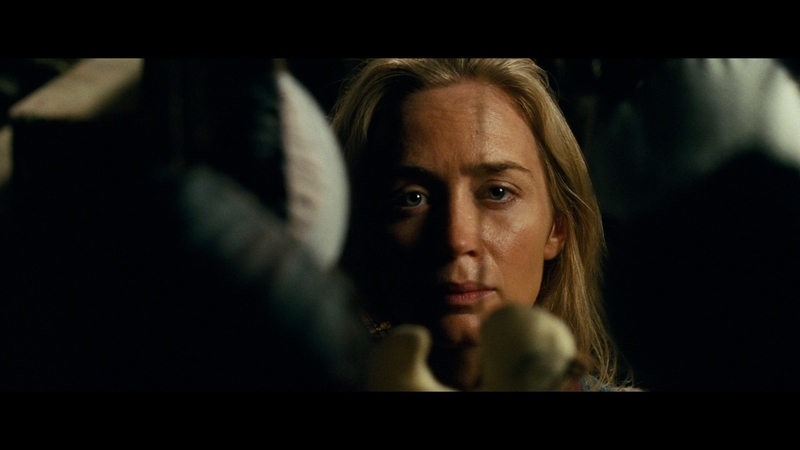 Yet, A Quiet Place’s firm cinematography always keeps things in a natural give-and-take tandem. Shadow detail isn’t lost, critical in a movie that spends a significant part of its runtime at night. Look at John Krasinski’s black shirt immediately after the small living room fire. There’s still shirt texture and wrinkling peeking from within the darkness. A Quiet Place needs that depth. Resolution sags slightly. 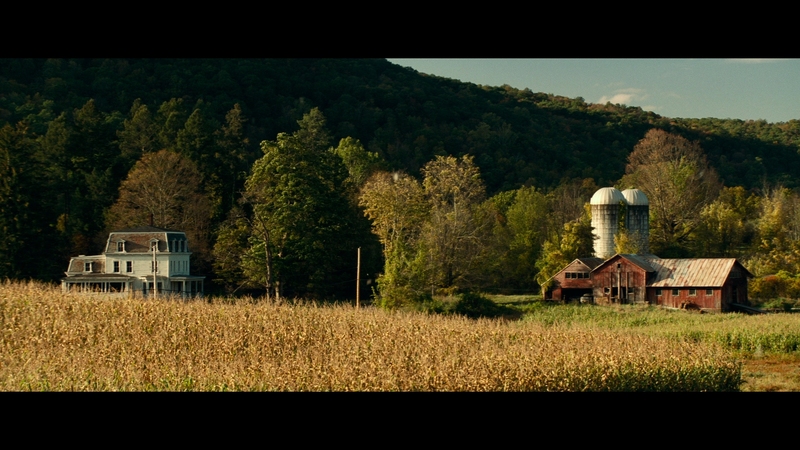 This film-based source comes from a 2K master, a shame because the potential of the tall grass and wheat fields begs for 4K. While clean and resolved, a level of visible fuzziness gets in the way of farmland exteriors. Some of that comes from the softer, vintage-like lens work too. In close, fidelity maintains a persistent spike, with richly texture facial and environment definition. Warm color pushes heavy oranges into the images. Flesh tones take on a deeply tanned look. Primaries sink toward that warmer edge too. Greens droop with a glaze of orange, taking some zip from forests and fields. They still look great though, adding to a fall season palette. In general, the Blu-ray and UHD pair well. In terms of fidelity, grain management, and sharpness, the two discs appear identical. It’s an impressive Blu-ray showing from Paramount. Even color, although lacking the same density, gives viewers a pleasing saturation. The whiff comes in terms of black levels. When the camera pans by shelving in the first shots, black isn’t black. It’s steering blue. Not egregiously, just slightly brightened enough to become noticeable. 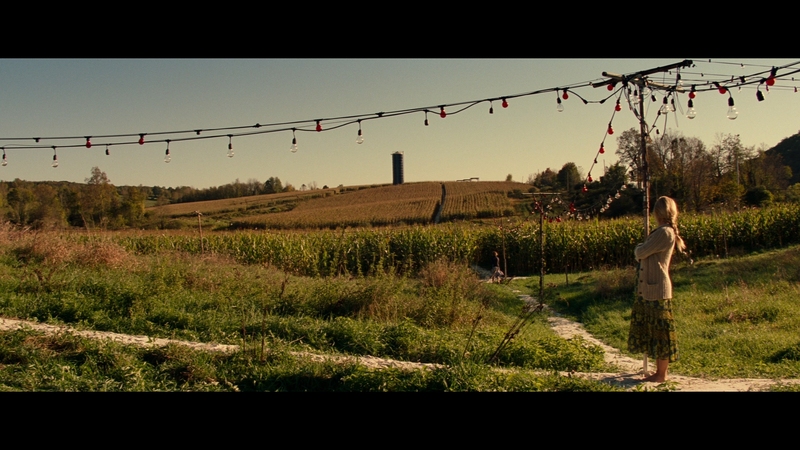 Blue shadows won’t stick around as a consistent issue, but it’s a sign A Quiet Place is missing the beefier touch. Some thick crush damages things later on, rendering shadows as soulless as those monsters. Both formats feature a wide Atmos offering. 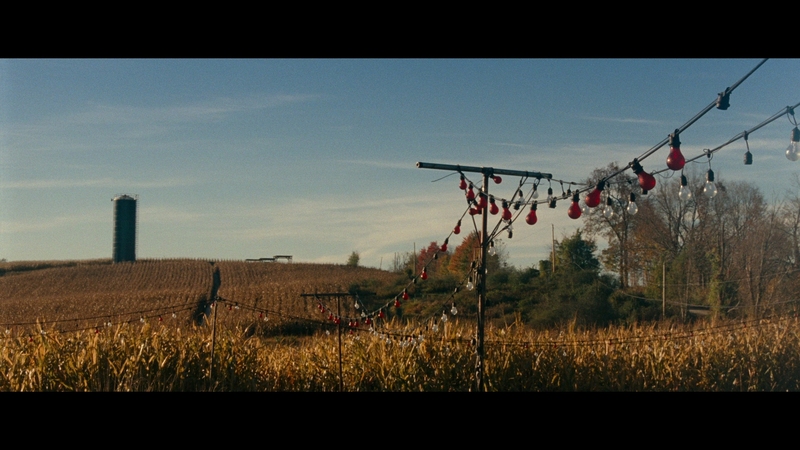 For a movie without much sound, when audio is present, it’s dynamic. Boomy range makes each frightful monster appearance a wake up call. 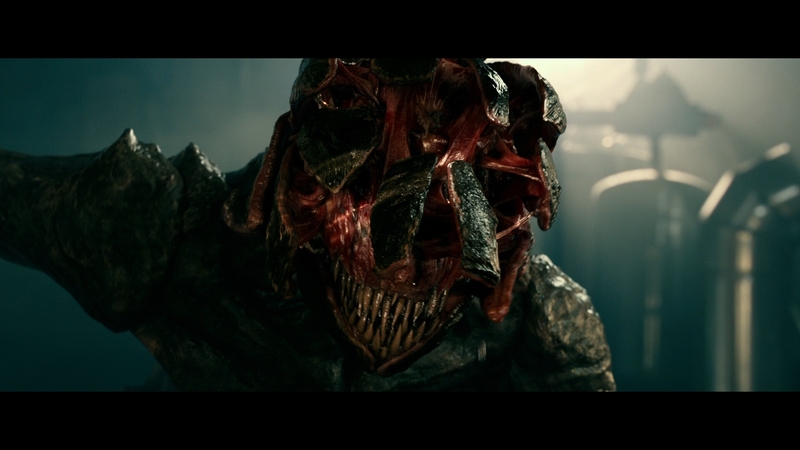 Creatures run around the soundstage, hissing or moving between channels, both front and back. Motion is seamless. LFE pushes hard on the low-end, a rattling mix with plenty of power. Rumbles suitably shake the room, giving the monsters weight. While infrequent, every use matters. 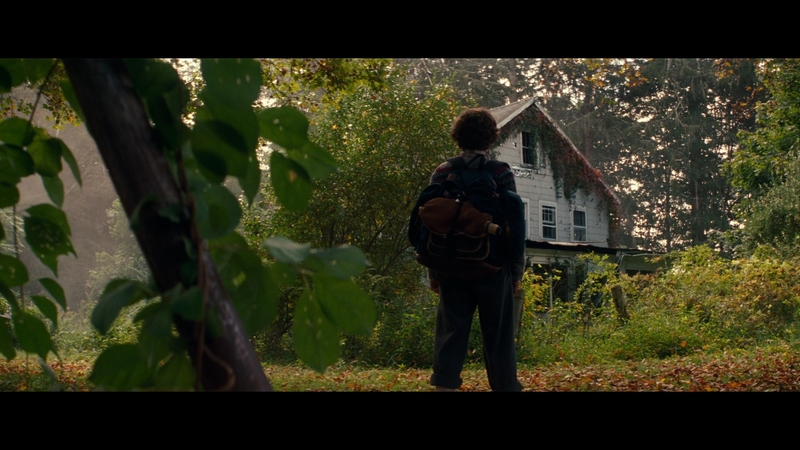 A Quiet Place’s best stuff is minor though. The sharpness of a dropped glass frame hitting the ground pierces ear drums as it should. That’s more than a transition from quiet to active. Near a river, rushing water runs around the soundstage. Minutes later, a waterfall finds a home in the front stereos, properly placed with extra subwoofer help. A general behind-the-scenes featurette titled Creating the Quiet follows the production from its genesis, a satisfying piece near 15-minutes. The Sound of Darkness is great, an 11-minute look at how the sound in a mostly sound-less movie came together. Finally, there’s A Reason for Silence. This seven minute piece looks at the effects, but with an EPK slant. 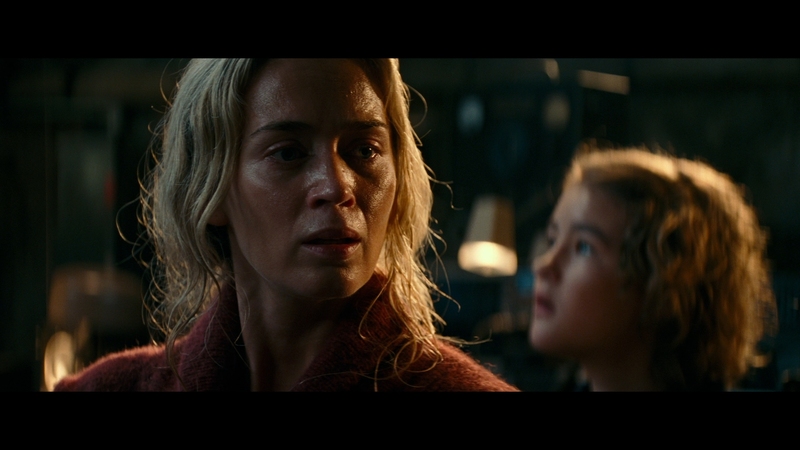 A Quiet Place twists a story of family togetherness into a cruel, even brutal example of horror cinema filled with high-grade tension. The 15 unaltered images below represent the Blu-ray. 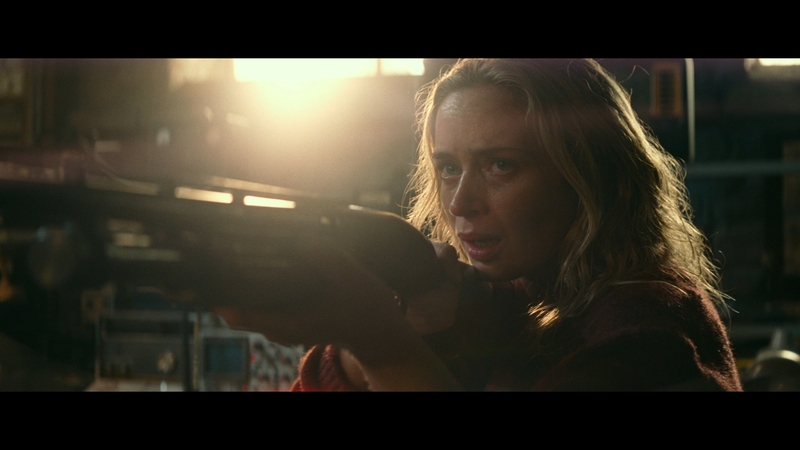 For an additional 16 Quiet Place screenshots, early access to all screens (plus the 13,000+ already in our library), 50+ exclusive 4K UHD reviews, and more, support us on Patreon.